To succeed in the franchising world, you have to mean business. As our name attests, we certainly do and it has made us a leader in the franchise sales and development industry for more than 20 years. We know the ins and outs of making a brand successful and our Franchisor Assistance Program puts all of our knowledge and experience to work for you, giving you the invaluable guidance you need to avoid pitfalls and costly mistakes. 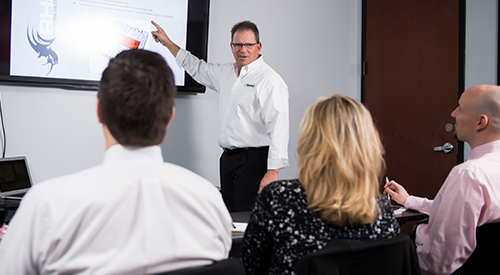 Rhino7 will develop high-quality and highly effective sales presentations designed to capture the interest of prospective franchisees, present your brand, and engage them in the process of learning more. Then we can sell your potential franchisee’s a franchise. Rhino7 Operations support services are aimed to complement the franchisors existing experience when it comes to being a growing franchisor. Through a series of calls and webinars, one to two days per week or by way of assignment, we will provide specialized assistance without the economic or logistical issues of acquiring long-term assistance from another third party. We bring real world experience from varying managerial backgrounds from the franchisor and franchisee sides of the business. This knowledge will help franchisors develops systems and strategies as well as deal with real world franchisor issues to help build strong and profitable franchise units. Rhino7’s role will be to coach and mentor the franchisor in the skills needed to develop a strong and scalable franchisee operational support structure. Rhino7’s goal is to help our franchisor partners build and execute a solid franchisee support system early on in the development of the franchisor and help the franchisor know and properly prepare for the stages of growth that lay ahead. Rhino7 will become your Franchise Sales and Lead Cultivation Department. We’ll provide you with full, national, high-quality exposure by leveraging our stellar reputation to market and sell your brand. You’ll save time and money, and gain development expertise. Rhino7 has one of the most skilled franchise development sales staffs in the country. Through its solid understanding of all aspects of franchise sales, Rhino7 represents an upgrade for your sales staff overnight. Our networking franchise consultants, Internet lead cultivation system, strong sales investigation cycles and advanced technology sales systems give Rhino7 (and you) an advantage over other franchise brands. We are widely known in the franchise industry as the leader in consultant/business broker relationship-building and lead cultivation. Working with Rhino7 gives you access to this invaluable network, resulting in ongoing lead flow for your brand. Rhino7 will build your sales process investigation cycle. With our state-of-the-art electronic sales tools that assist in the investigation process, your potential franchisees will be better educated and prepared to become franchisees. Your brand will be positioned to compete with all brands! Rhino7 has a full team of world-class marketing partners that provide system-wide marketing services for our client brands. From brand evaluation and modification (if needed), through every aspect of marketing and advertising development, we work directly with franchisors and franchisees to create and seamlessly execute successful marketing programs. Rhino7 will assist you in the development of an effective Franchise Disclosure Document (FDD) that aids the franchise sales process. Your FDD will become a powerful document for all franchisees, helping franchise sales as well as your operations department. Rhino7 offers sophisticated Franchisee Territory Management services that significantly benefit you as a franchisor, whether your business is brick and mortar or territory-driven. From our national real estate partner who has extensive contacts in lease negotiation throughout the country, to our pre-mapping procedures that optimize territories and create a level playing field for all franchisees, Rhino7 offers best practices that are second to none in the franchising industry. Having represented so many different brands over so many years, Rhino7 is the industry leader in every sense of franchising. We regularly attend conferences, continuously build relationships, and study and employ best practices to support and optimize every one of our franchise offerings throughout the life of the offering. From strengthening your brand in the eyes of the consultant/broker networks and prospects to managing your brand support system, lead flow, and implementation processes, we mean business. That’s why we are known for having the fastest lead response in the industry. Rhino7 understands brand development and will help advise your team on how to handle the growth of your business. We will recommend policies and procedures that will help you stay ahead of your growth.